On Wednesday April 3rd we will have one last Chapter Meeting before breaking for the Summer. 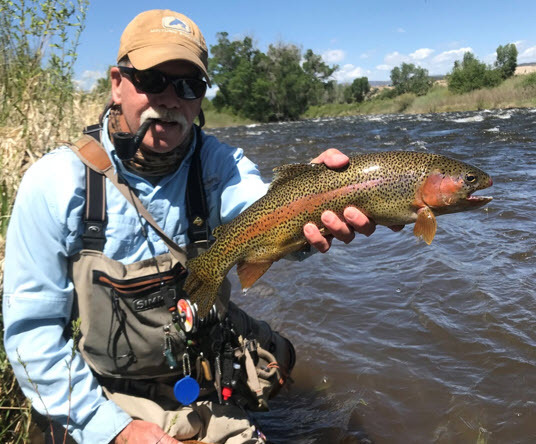 Duane Redford, a professional fly fishing guide, spends the majority of his days guiding on the South Platte River near Deckers, Colorado and on the Eagle River near Minturn, Colorado. He began his fly fishing career fishing the Rocky Mountain West, and has been toting a fly rod for better than four decades. When he’s not guiding, Duane spends his time teaching fly fishing classes, blogging, tying, speaking, and writing. When he’s not teaching, writing or guiding, you’ll find him on the river. 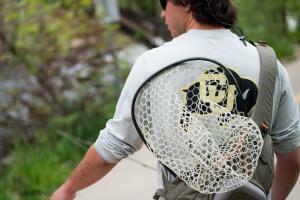 Finally, Taiyo and Anthony of the CU Fishing Club will present a recap of their 2018 summer “vacations”. Taiyo spent his time fighting wild fires across the west while Anthony went north to Alaska with Trout Unlimited. They both have very unique and interesting stories to share that you won’t want to miss.